Sean Rafferty presents a lively mix of music, chat and arts news. 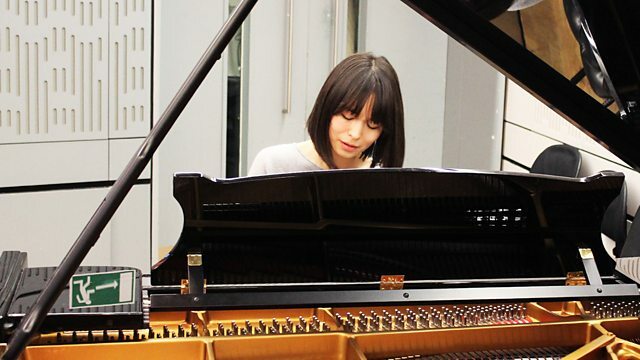 His guests include pianist Alice Sara Ott, who performs live, organist Greg Morris, and violinist Veronika Eberle. Orchestrator: Anatoly Konstantinovich Lyadov. Orchestra: Detroit Symphony Orchestra. Conductor: Neeme Järvi. Music Arranger: Clytus Gottwald. Choir: Norwegian Soloists' Choir. Conductor: Grete Pedersen. Performer: Nicolai Gedda. Singer: Victoria de los Ángeles. Orchestra: Orchestre de l’Opéra National de Paris. Conductor: André Cluytens. Performer: Greg Morris. Choir: Choir of Temple Church. Conductor: Roger Sayer. Orchestra: Chamber Orchestra of Europe. Conductor: Nikolaus Harnoncourt. Orchestrator: Benjamin Britten. Singer: Stanislas de Barbeyrac. Orchestra: Insula Orchestra. Conductor: Laurence Equilbey. Conductor: Semyon Bychkov. Orchestra: Czech Philharmonic. Performer: Veronika Eberle. Performer: Jonathan Cohen. Orchestra: Orchestra of the Royal Opera House, Covent Garden. Conductor: Antal Doráti.